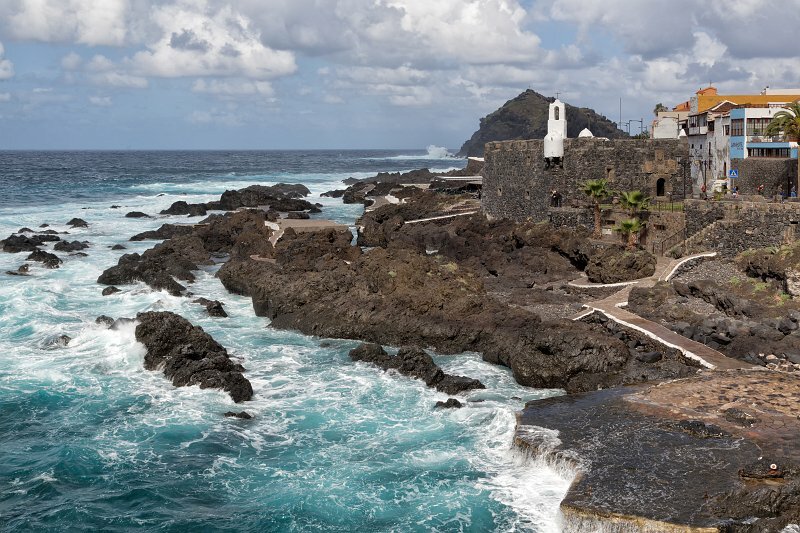 The coastline is essentially volcanic debris, but this does give the town its charm and a reason to visit it. Near the old port, there has been considerable recent effort to landscape the shoreline. Many paths have been laid as crazy paving, and some natural rock pools made into swimming pools.